Barnes & Noble has included TEAR ME APART in their new Favorite Paperbacks sale! There are so many incredible books that are a part of this deal. All you have to do is pick two of the participating titles and you’ll get a third participating title for free! Let's See Those Favorite Paperbacks! BookClubbish is celebrating the mass market paperback release of LIE TO ME by giving away 3 annotated copies of TEAR ME APART! These editions are one of a kind, filled with all kinds of behind the scenes info on TEAR ME APART. Good luck! LIE TO ME comes out in mass market paperback next week and you have three chances to win a copy! I’m giving away copies on Instagram, Facebook, and my Facebook group (you’ll have to join the Literati to enter). Dr. Samantha Owens Series Books 1 and 2 on sale for $5.99! A DEEPER DARKNESS and EDGE OF BLACK are both on sale for $5.99 through April 10! You may know Sam Owens from the Taylor Jackson series and here’s your chance to get to know her better. Dr. Samantha Owens is starting over: new city, new job, new man, new life. But before she's even unpacked her office at Georgetown University's forensic pathology department, she's called to consult on a case that's rocked the capital and the country. An unknown pathogen released into the Washington Metro has caused nationwide panic. Three people died—just three. Amid the media frenzy and Homeland Security alarm bells, Sam painstakingly dissects the lives of those three victims and makes an unsettling conclusion. This is no textbook terrorist, but an assassin whose motive is deeply personal and far from understandable. Xander Whitfield, a former army ranger and Sam's new boyfriend, knows about seeing the world in shades of gray. About feeling compelled to do the wrong thing for the right reasons. Only his disturbing kinship with a killer can lead Sam to the truth...and once more into the line of fire. TEAR ME APART ebook and paperback on sale at some retailers! The ebook and paperback versions of TEAR ME APART are on sale at some retailers! The ebook is now $6.49 and the paperback is $10.71. We have no idea how long this sale will last so grab your copy now! 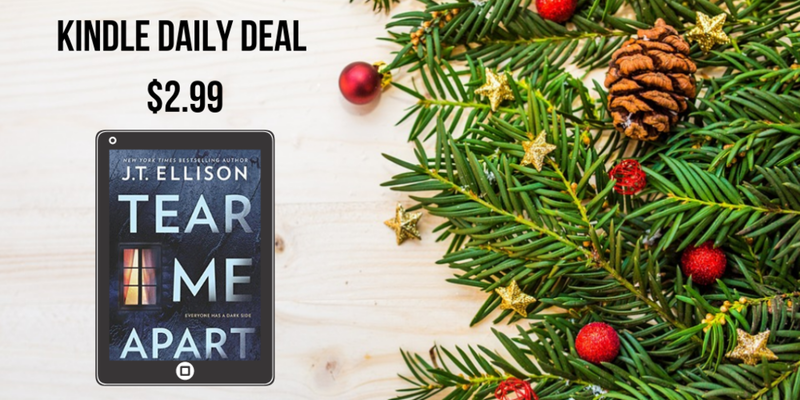 TEAR ME APART is today’s Audible Daily Deal! Get the audiobook for just $4.95. This is an incredible savings! The audiobook was narrated by Eva Kaminsky, Rebekkah Ross, Jacques Roy, Caitlin Davies, Amy McFadden, and Pete Simonelli. Don’t have an Audible account yet? This could be the perfect time to start. Select TEAR ME APART to sign up and you’ll get another free audiobook + 2 free Audible Originals for your trial. After the trial ends, you’ll get 1 audiobook and 2 Audible Originals per month. Audible is $14.95/mo after 30 days. Cancel online anytime and keep all your audiobooks. 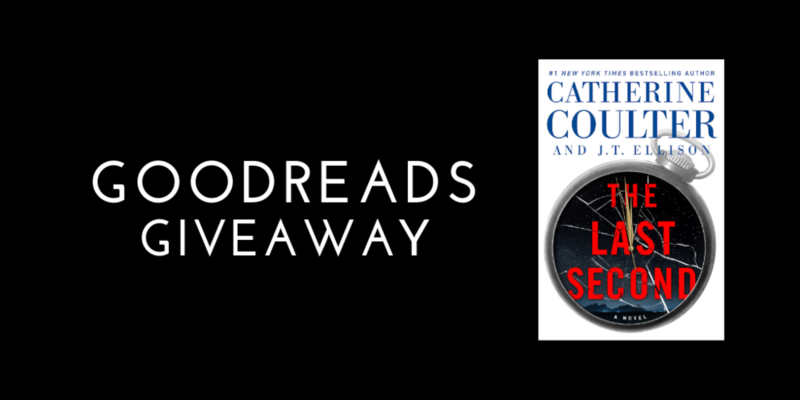 Goodreads is giving away 50 copies of THE LAST SECOND! The new Brit in the FBI is a rip-roaring “Indiana Jones-style” adventure thriller. You won’t want to miss it! Giveaway ends March 25 and it’s US only. From New York Times bestselling authors Catherine Coulter and J.T. Ellison comes, THE LAST SECOND, a riveting thriller pitting special agents Nicholas Drummond and Michaela Caine against a private French space agency that has the power to end the world as we know it. Score the biggest, best books at blowout prices during Barnes & Noble’s Book Haul BLOWOUT! 50% off top titles including LIE TO ME in store & online 2/27-3/4. 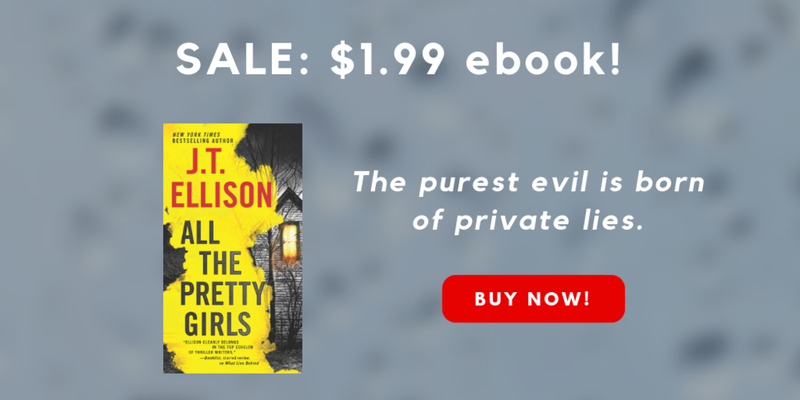 Over 400 titles are included in this sale, including hardcover new releases like AN ANONYMOUS GIRL, exclusive editions like THE WICKED KING, and thrillers like WHEN THE LIGHTS GO OUT. Happy shopping and happy reading! I want a book haul! There’s a flash sale on TEAR ME APART! Not sure how much longer it will last so get it for only $2.99 while you can. TEAR ME APART is now on sale at all digital retailers! Get it for only $2.99 while you can. A DEEPER DARKNESS, the first book in my Sam Owens series, is on sale for $1.99! We’re not sure how long this sale will last so get a copy while you can. THE OMEN DAYS is on sale for $1.99! This is the Christmas ghost story you need. Lisa Unger is running an incredible giveaway in honor of Giving Tuesday! Make a donation and you could win books from some of the biggest, most acclaimed authors in the world, including me, Stephen King, Harlan Coben, Karin Slaughter, Mary Higgins Clark, Alafair Burke, Sara Blaedel, Kate White, Mary Kubica, Gregg Hurwitz, Sarah Weinman, Carol Goodman, Hank Phillippi Ryan, Ace Atkins, Jo Nesbo, C.J. Tudor, Jeff Abbott, Heather Gudenkauf, Lori Roy, Cara Black, Chris Bohjalian, Christina Alger, Bryan Reardon, K.J. Howe, and more! 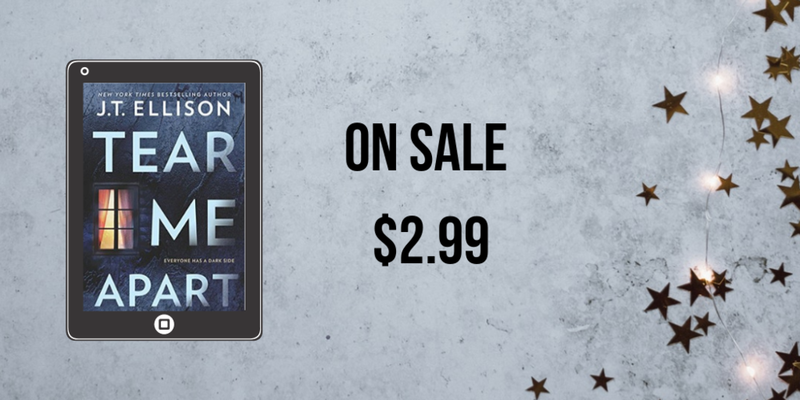 THE DEVIL’S TRIANGLE, the fourth book in the Brit In The FBI series with Catherine Coulter, is on sale for $2.99 today only! Get your copy while you can. LIE TO ME is today’s Kindle Daily Deal! Scoop it up for just $1.99. BookReporter is giving away a copy of A THOUSAND DOORS! Giveaway ends at noon ET today so get over there quick! It looks like it's US only. THE SIXTH DAY, the fifth book in the Brit in the FBI series, is coming out in trade paperback and Goodreads has 100 copies up for grabs! Giveaway is US only. The trade paperback will be available everywhere November 13! DEAD ENDS: STORIES FROM THE GOTHIC SOUTH is on sale for $2.99 on Kobo!